Once again we have been tuning Range Rovers this week, for those following our work you will know we recently redeveloped our 5.0 Range Rover Vogue Tuning map with great results, 554bhp, this week it was the Range Rover Vogues Stable mate the Range Rover Sport, again the tuning was on the 5.0 supercharged model. Many tuners would say – same engine same map, but is just not the way we do things at Viezu. Whilst there are many shared components neither the tuning map profile or modifications are the same. After development the Viezu tuning software remaps the Range Rover Sport 5.0 Supercharged engine adding up to an addition 60bhp (with super charger pulley change or 45bhp without) and takes the torque to a massive 590lbs ft, the ECU remap can also remove the vehicles speed limiter as well, completely transforming the power and driving of the heavy Range Rover, and giving it true sports car performance. 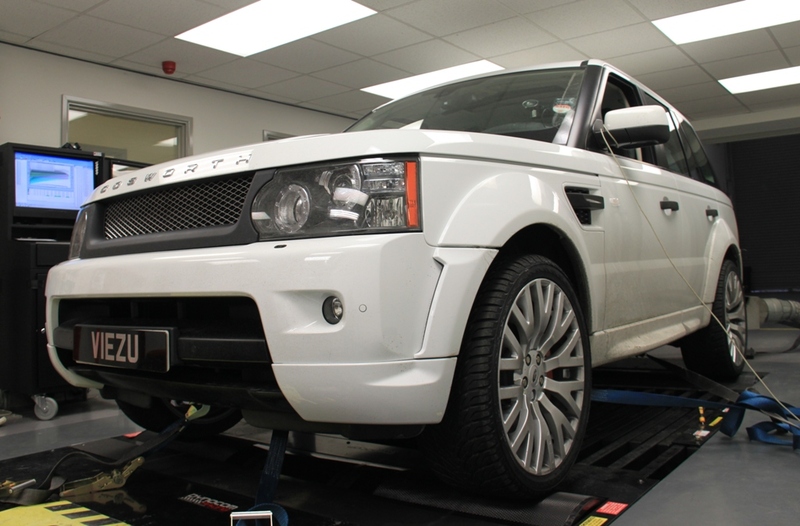 As well as Range Rover Sport 5.0 Tuning and super charged ecu remapping, Viezu tune all Range Rover models including the new Range Rover TDV8 and TD6 diesel engine tuning, and the older 4.2 supercharged Range Rover and Range Rover Sport. TheDiesel TDV8 Range Rover tunes very well releasing around an additional 65bhp, with the nice addition of around 3miles per gallon additional fuel economy Viezu is constantly developing and improving its ECU tuning services.